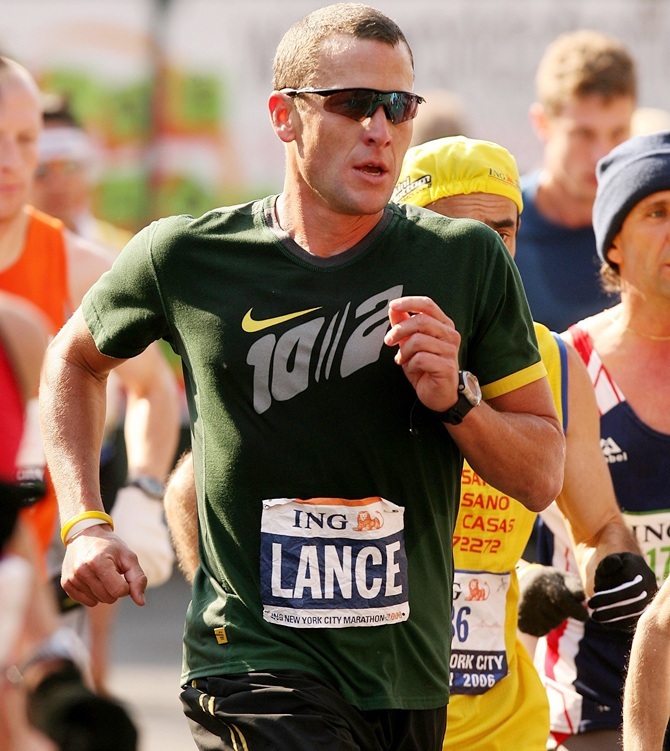 Rediff.com » Sports » Watch out for these celebrities at NYC marathon this Sunday! The prestigious New York City marathon plays host to a number of runners from near and far, professional and all age group athletes. Actors, politicians and celebrities run for charity. Take a look at the names below running in the NYC marathon; you'll be surprised they are donning their running shoes for charity on November 2. This former World No 1 tennis player is running for the benefit of the New York Road Runners Team for Kids. Although this is Caroline Wozniacki's first race of any kind, we wouldn't doubt her, as she has been hard at work, training ever since she first declared participation for the race this summer. The 24-year-old Dane was scheduled to marry star golfer Rory McIlroy in November, but he called off the wedding. A sneak peek into Wozniacki's Instagram profile and one would know her dedication towards the race. The Desperate Housewives star will represent J/P Haitian Relief Organsation. For a few years now, the actress has been participating in triathlons across America. At the age of 49, the Golden Globe award-winning actress has decided to add marathon to her list of accomplishments. 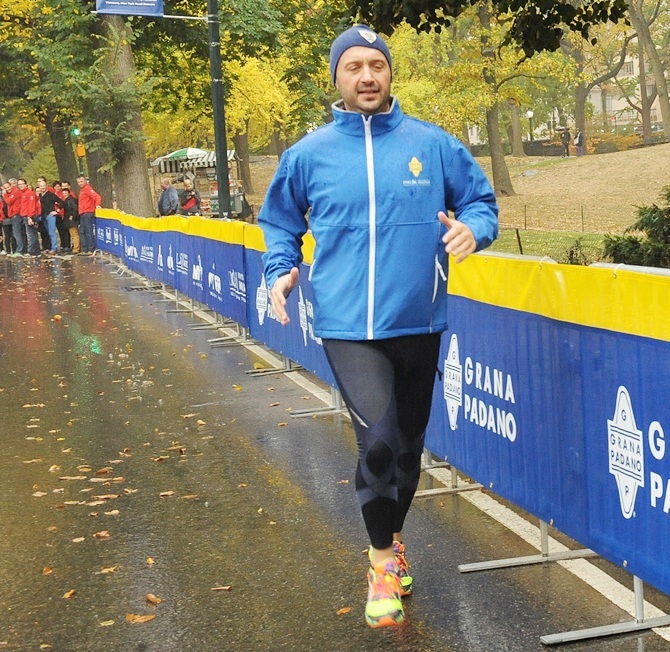 The Master Chef judge is no stranger to the New York City Marathon. This will be his sixth. Te chef and restauranteur is looking to top his personal best 3:42:36 seconds. Pamela Anderson ran the NYC marathon in 2013. The former Baywatch beauty joined thousands of runners to complete her first ever marathon in New York. Actress and ex wife of Tom Cruise, Katie Holmes ran the New York City Marathon in 2007. She finished with a timing of 5:29:58s. Actor Ryan Reynolds ran the New York Marathon in 2008 and called the experience ‘incredible’. It took him a credible 3:50:22s to complete the run. Disgraced cyclist Lance Armstrong ran a few marathons after retiring from cycling. He ran the 2007 NYC Marathon with a time of 2:46:43s. However, it was reported that all of Armstrong's marathon timings will be erased in light of the USADA rulings on doping.